When we purchased our 100+ year old Victorian, one of the things I was drawn to were all of the gorgeous bay and original stained glass windows. They were time-worn, beautiful, and for practical reasons most needed to be replaced! As homeowners, we would love for our windows and doors to last forever, but unfortunately to protect the structure of our homes and our investments it is imperative to make necessary window and door updates. Perhaps you are wondering if it is time to replace or update your old windows and doors? 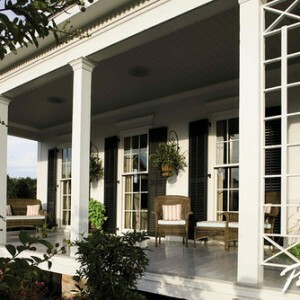 Let’s explore seven ways to identify when to replace windows and doors. 1. You feel a draft of hot or cold air. I love living in an old home, but I’m not willing to sacrifice my comfort or my pocketbook to do so. Drafty windows and doors indicate that you have a problem. The hot air of summer and the cold air of winter should not enter through your closed windows and doors. Replacing weather stripping is always a good idea but should be considered a temporary fix. The seals around windows and doors wear over time and need replacing. 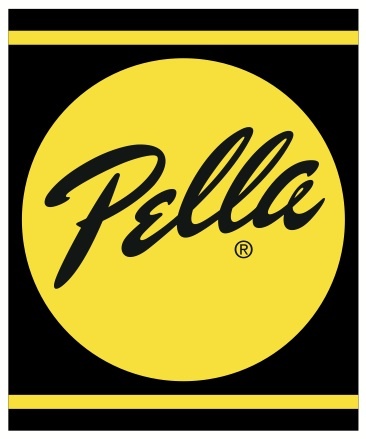 If you are feeling drafts with each season, it is time to contact Pella® and look into replacing your windows and doors. 2. Your window sills or doors have peeling paint and some splitting. Window deterioration often begins at the sill and door deterioration on the bottom rail. If you have peeling paint and splitting wood, this allows moisture to penetrate the wood causing wood rot. Window sills and doors with wood rot can lead to structural issues and can attract wood destroying insects such as termites. To prevent further costly repairs, it is recommended that you make any necessary repairs and consider replacing damaged windows and doors. 3. You are having difficulty opening, closing, or locking your windows and doors. Doors and windows that are painted or nailed shut are a potential safety hazard and could prevent your family from exiting your home safely during a fire or other emergency. Windows and doors should open, close, and lock with ease. Windows should also stay open on their own. The mechanism that keeps a window open is called the balance. When the balance no longer works, your windows become potentially dangerous. In our previous 100 year old home, I was attempting to clean the 100 year old windows. As I opened a window and placed my hand on the sill, it came crashing down on my fingers. It was a very painful reminder that it was time to replace the windows! 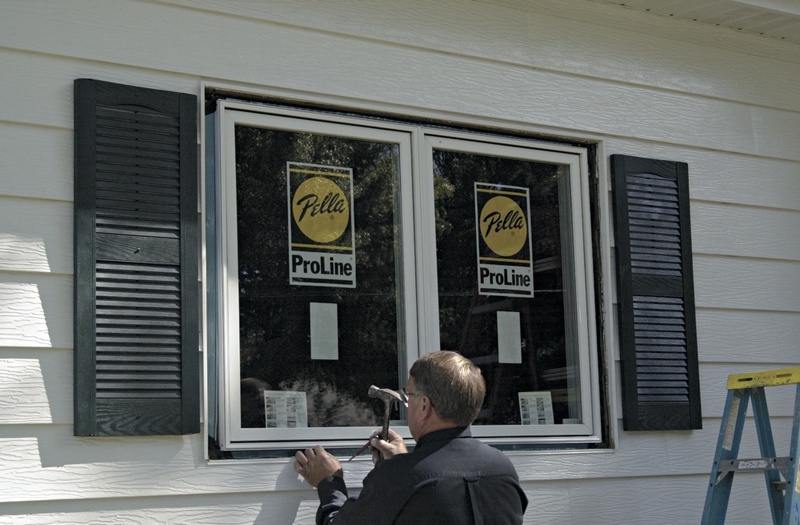 If your doors or windows are not working properly, it is time to contact Pella® and discuss replacing. 4. You see light coming in from under your door or window sill. When a window is closed, there should not be any light coming through at the sill or around the window casing. Likewise, when your exterior doors are closed you should not be able to see light streaming in from around the frame or threshold. Remember that where light enters, other undesirables such as water, drafts, insects and rodents can as well! If you are seeing gaps in the framing, it is time to consider new doors and windows. 5. You have condensation between your window panes. Windows that are double and triple paned contain a layer of air in between the glass that allow the window to better insulate your home. If you notice condensation forming in between the glass panes or you notice a film between the panes, your windows are no longer insulating as they should. 6. Your energy bill is costly. 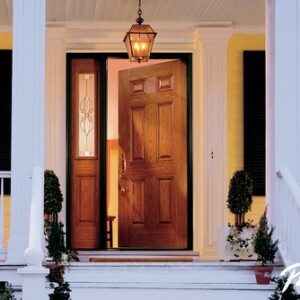 Inefficient doors and windows inevitably lead to a more costly energy bill year round. Upgrading your doors and windows to new, energy-efficient options will eventually pay for themselves by lowering your heating and cooling costs. 7. Your windows are just plain ugly. Let’s face it, if your windows and doors are chipped, cracked, broken, and/or missing hardware it might be time to replace them. New windows and doors can help you transform your everyday spaces into your favorite places! Do I have you thinking about replacing your windows or doors? Are you still wondering if it’s really worth the investment? Well stay tuned because I will be back to further explore all of the benefits of window/door replacement, and I will show off some of the amazing window and door transformations! This post is sponsored by Pella®. All opinions are my own. I like how you said that if you have chipped or cracked windows than it would be important to get it repaired or replaced. It would probably be a good idea to talk to a window repair service before deciding to replace them because it would probably be cheaper to fix them rather than get new ones. That way you can save money and put it toward other things that are more pressing. My own windows have been getting condensation between the window panes, and I’ve been what exactly has been going on with them. It’s good to know that when that happens, they are no longer insulating like they should be. I wouldn’t mind getting some new windows, so I think I’ll contact a professional to get what I have replaced. I liked how you talked about how seeing light coming through the bottom of a door is an indication that it needs to be replaced because water and insects could also come in. My exterior door has an uneven bottom so drafts come through, and I’m trying to figure out if I should get it fixed or replaced. If insects and rodents can come through that gap, it’s probably a good idea to have the entire door replaced, just to be thorough. Awesome post! I just posted this on Facebook and my followers loved it. I agree that it is a good idea to consider replacing your windows if there is condensation build up between the panes. It makes sense that keeping an eye out for this can help you make sure you get the services you need from your investments. 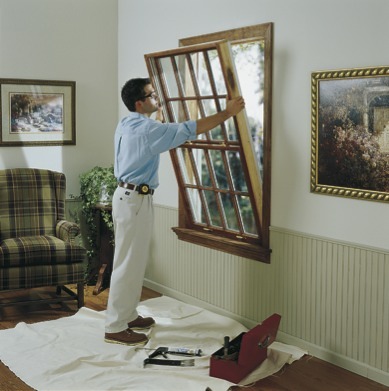 Do you know how long it takes to replace a regular window? I want to make sure I make appropriate plans when doing so. You said that windows that are painted and nailed shut are a potential hazard. Maybe I should check all of my windows to make sure they are in good condition. I might need to get professional help if I have to get the glass replaced. I appreciate that you point out that if I see any light coming from around the edges of the doors and windows then other things can enter as well. My wife and I moved into our house about a month ago. I have noticed that there is a slight draft around a couple windows in the house. I’ll have to shine a light on one side and see if my wife can see it on the other. I wasn’t aware how much bad windows could affect the temperature in your house. I have noticed how much cold air can creep in through our window panes in the winter. It might be worth looking into more energy efficient options. I have firsthand experience of the drafty, cold air windows. I really like what was said about the seals around the windows. Of course they are going to get old and sometime you’ll just have to replace the whole window. This is a lot better than the cold air drafts that come through the house. It is also a waste of energy! Beth, these are some pretty useful signs to look out for. I’ve always had issues when to decide if something needs repair or replacement. I’ll need to make sure to remember these indicators when I move into this old victorian home in a couple months. I liked that you mentioned how a high energy bill could be a good reason to replace your windows. I think that a lot of people don’t realize how much heat you can lose from your home if your windows are not properly sealed! My husband and I replaced our windows last year, and we’ve been able to save a lot of money on our energy bill! If anyone else has a high energy bill, I’d strongly recommend that you consider replacing your windows, it just may fix your problem! Thanks for talking about all the different reasons I may need to replace my windows. I live in a little bit of an older house, and replacing the windows is something that I’ve been wondering about for a while now. Never thought that just the condensation could be an indicator of a problem – your post gave me a lot of good information that I can work off of. Thanks for sharing! One main reason I decide to change our windows was #6, the energy bills. I had not thought about changing windows to reduce the bills but when my friend built a new house he specifically went to Landmark Home Solutions at Hamilton for energy efficient windows and doors. I had gone with him and that’s how this idea came to me. I got my windows and doors replaced by Landmark and it’s amazing to see how the energy bills have gone down. I definitely agree that in old homes, windows like these really help to make a home keep the original look. It makes sense that you weren’t super eager to get rid of these windows, and I fully sympathize because I am in the same position. I think I may need to replace them, because they are really drafty. This is mostly because they don’t shut all the way, because they are really old and get stuck often. 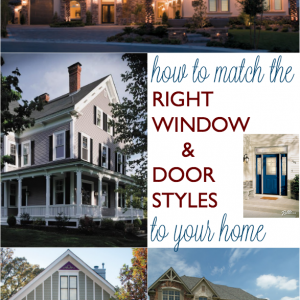 It sounds like it is time to get some new windows, so I will be sure to keep my eye out for some that will fit the style of my home! It is hilarious to me that you mentioned that you need to replace your windows when they are ugly. A lot of times, it is hard to allow this to be you justification. It is a pretty expensive process, but windows are so instrumental in the overall atmosphere of your home. When they are visually unappealing, it can start to have an effect on the way you feel in your house. Thank you for such a helpful article! Replacing windows and doors can get REALLY pricey, as you mentioned. But NOT replacing when needed can cause all kinds of damage. Moisture, mold, and many others. Thanks for the info! So true! Ignoring the problem unfortunately can create an even greater expense (and potential health hazard–mold) down the road.